That was weird. I'd glanced at this morning's paper while making a cup of tea, and was fleetingly trying to figure out who the woman on the right is. She looked vaguely familiar and the person who sprung to mind was media trainer and TV producer, Janet Wilson. So I found a picture of Janet from a few years ago. By comparison, the woman on the right is similarly gingery, same nose, same eyebrow line, same complexion tone, the eyes starting to go downwards at the sides without a very broad smile, and overly made-up to compensate for age? Perhaps not, but who does she look like? Unusually, I was reading the comments thread after a piece on Stuff about 35 WINZ roles going. Resentment against case managers led to some taking a celebratory position (even though the roles aren't case managers - most readers don't actually READ). The ignorance of some of these comments is astounding. I used to be a DPB case manager in Porirua with a caseload of 136 clients. Most were lovely people who were victims of circumstance, but some were nasty pieces of work. Threats of violence, nothing you did was enough for them because of their sense of entitlement. The fraudsters, those that chose benefits as a lifestyle. Yet you still bust a gut to help them within the bounds of legislation. Hard not to be pissed that some were making more than you on the benefit ($26,250 was my salary. Ludicrous). Until you've been on the other side of the desk, don't make assumptions about the lack of empathy of your average case manager. They feel overworked, stressed, carry great responsibility and are bound by lots of red tape. Most are in the job to genuinely help people, but when you get crapped on repeatedly, it's hard not to become cynical. Best of luck to them. And some of you need to develop empathy of your own. The comment appears genuine. The caseload ratio and salary look credible. And contrary to what people believe about me, I'm sure that most people on the DPB are perfectly nice people. Most I've come across are. I still hold fast to the idea nevertheless, that the DPB hasn't improved their lives. The benefit itself probably created the "circumstance" that resulted in their dependency. Yet again I wonder at the size of the second group she (more likely than 'he') describes. I once put the question to a close relative who spent some years working for social welfare on the front-line. That was back in the late70s/early 80s and times have changed. But he estimated around one third to a half were people exploiting the system. A handful were downright dangerous to deal with. But see the real problem revealed within the comment above. The very people who know that someone is 'misusing' welfare have to play along. They are bound. Whereas, in the non-government sector, a volunteer agency, services can be withdrawn when the 'client' isn't 'coming to the party'. The managers of an agency I volunteered with eventually made that call on a couple of my cases, to my relief. To a degree, the new welfare reforms are an attempt to give case managers that facility. To sort the wheat from the chaff and act accordingly. The threat of a benefit cut when people won't take a job or meet an obligation is not entirely new. Under Labour, sanctions were routinely used. But the range of obligations and persons they apply to is now much wider. As in any organisation, some will abuse power. Let's hope the majority of case managers reflect the one quoted here who sounds like a reasonable, compassionate individual. The headline on Stuff reads: Babies taken at birth from risky mothers. Guaranteed to pique my interest. Nearly 800 newborn babies were taken from their mothers and put into government care in the past five years, with one Waikato baby taken within hours of its birth. The 773 babies - all less than a month old - were taken due to "serious concerns" about their parents' ability to care for them. 773 babies over a 5 year period. Sounds a lot but it's only 3 a week. Out of 1,176 per week (2012). The reporting doesn't say so but I am thinking some of these births will be to incarcerated females. While imprisoned mothers have the facility to keep and care for their newborns, some will still not be in a position to. Apparently, "The mothers and babies units are only available to women who meet security requirements." Some of these newborns could be to mothers on methadone whose babies are removed to de-tox. Some births will be to women with known serious mental health problems. 3 a week is not surprising. Then, I'm looking to see if the reporter has broken down the figures annually to show any trend. No. 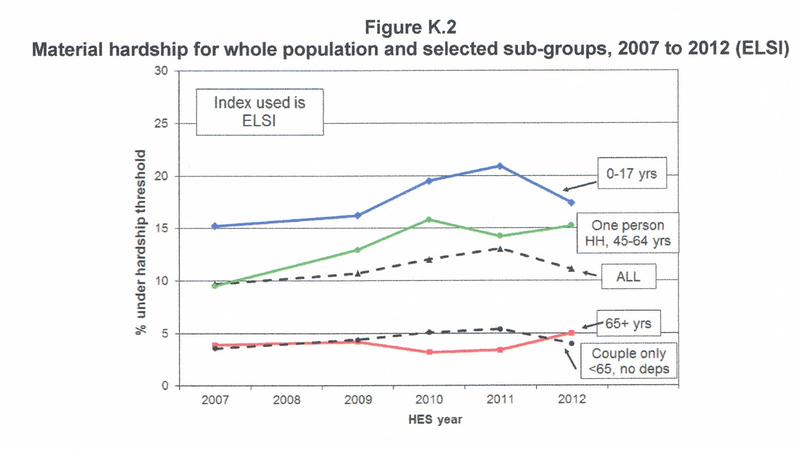 Because if she had, more than likely the numbers are decreasing (if they reflect the below graph) - not good copy. Decreasing numbers may simply be a facet of decreasing births over the past six years. I am left speculating on the difference between regions. The number for the Southern region seems high. Perhaps it reflects practice rather than the incidence of at-risk births. It's the perennial New Zealand story. Harvest time and no-one to pick the fruit. Thank God for the Vanuatuans - "Ni-Vanuatu" I have been advised. A lack of seasonal staff is adding to the pressures Central Otago fruit growers face from the weather and also hampering industry growth. Workers to harvest the area's main crops of cherries, apricots, apples and grapes were scarce this past season and that could be worse for the coming season, growers say. If had not been able to access 50 Vanuatuans from Blenheim at the last minute through Seasonal Solutions, he would have been in dire straits, Central Otago Winegrowers Association president James Dicey said. Presumably the workers are accommodated on site so travelling from anywhere in NZ would be possible. There are currently 129,000 people on the new Job Seeker Support Benefit. But even in Alexandra, Balclutha, Dunedin, Gore, Invercargill, Mosgiel, Oamaru, Queenstown, and Timaru there were over 4,000 people claiming an unemployment benefit in June (the number has probably been boosted to around 5-6,000 on JSS). ''To progress and go forward, we need an adequate casual staff base. We can't grow our permanent staff base without growing our business and to grow the business, we need more casual staff. Anyway, good on the Ni-Vanuatu who haven't lost the will to be self-supporting. Not me. I have no use for iTune vouchers. But my daughter does. Thank you for the fantastic nominations in last week’s competition. 25 in every 1000 ex-nuptial births occur to women aged between 15 and 19. Sometimes rewording a statistic ends up with a totally different statistic. For example, the proportion of men who are left handed is not the same as the proportion of left handers who are men. Labour's main objection to the welfare reforms revolves around a lack of jobs. The government should be creating jobs they say (though stop short of describing how). 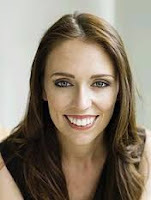 "Kiwis are lining up in their hundreds for a small number of jobs," Jacinda Ardern tells us to illustrate how willing beneficiaries are the victims of an economy not producing enough work for them. So here's an interesting report that unusually points out that many of the hundreds lining up for jobs at a new Fonterra milk plant were already employed elsewhere. "...unemployment did not appear to be the driving force for the huge response, with many of the 400 people who had turned out between 10am and noon on Saturday already in jobs, often skilled work." Here's a thought on which to base a sound job creation policy. The tax taken to pay Ardern's salary could easily be better used to create two or three productive jobs in the private sector. I haven't moved that fast in a while. What felt like a reasonably strong earthquake struck around 7:15am while I was having a bath! The imperative to get some clothes on outdid my tendency to freeze when the earth moves. Geonet is reporting it as severe though I can't see any media reports. But who's working at this time?